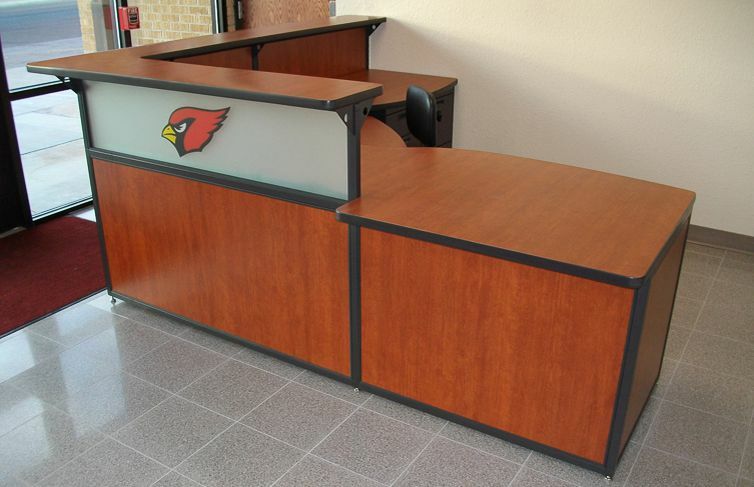 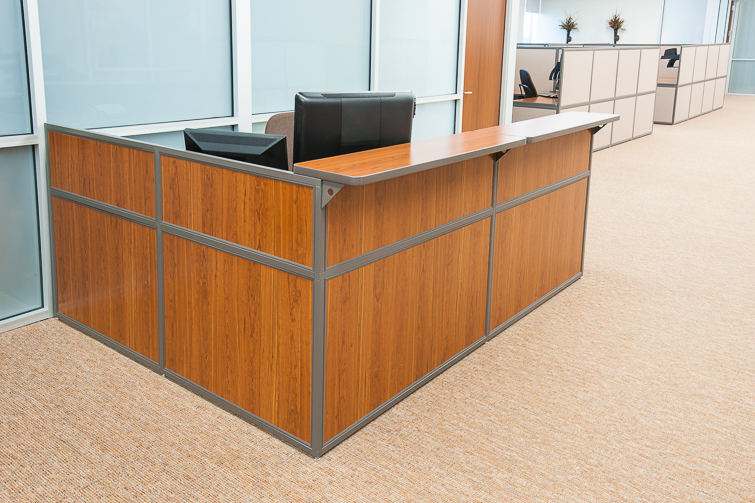 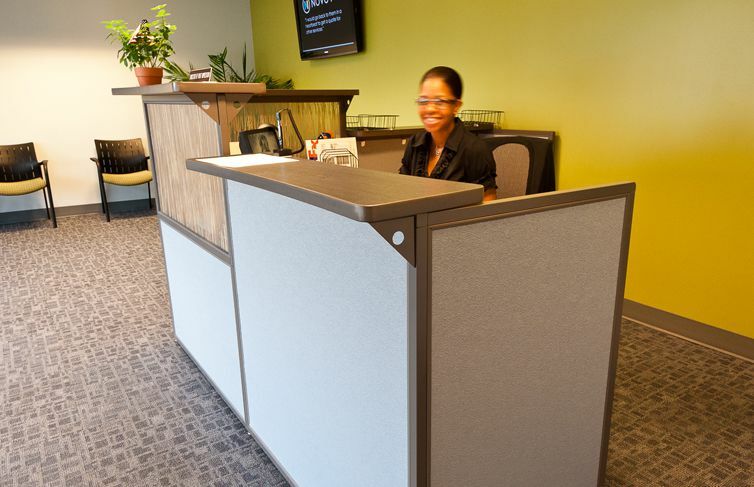 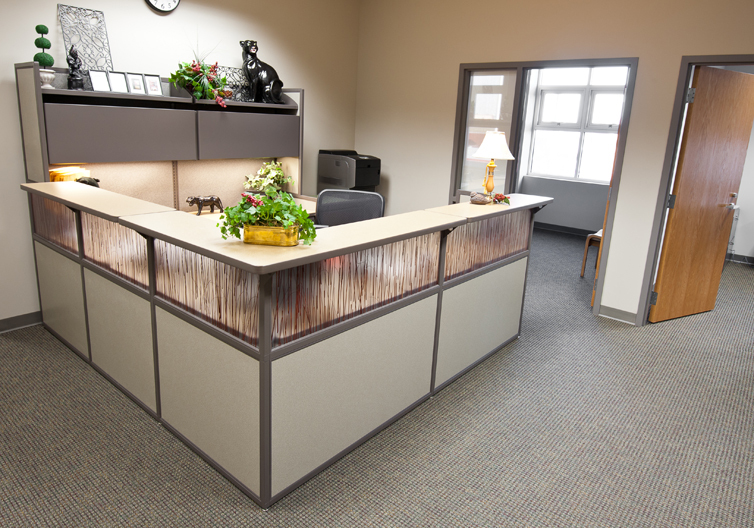 A reception desk is often the first thing people see when they walk into your organization. 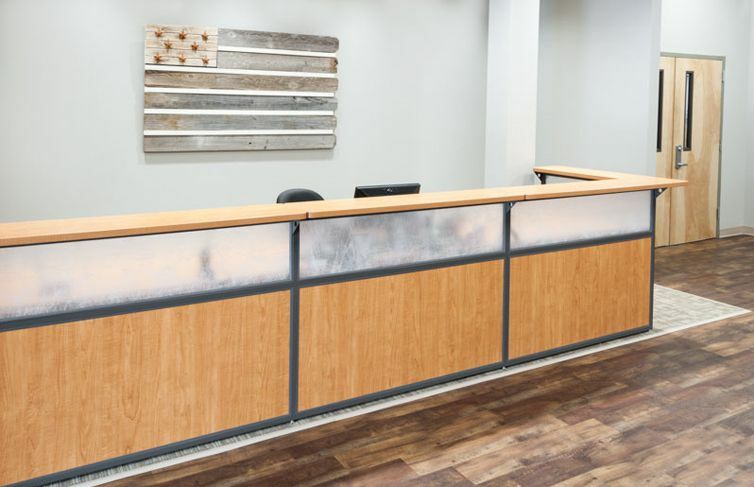 Make a good first impression with a reception desk by Interior Concepts to provide the perfect welcome for visitors, or anyone looking for assistance. 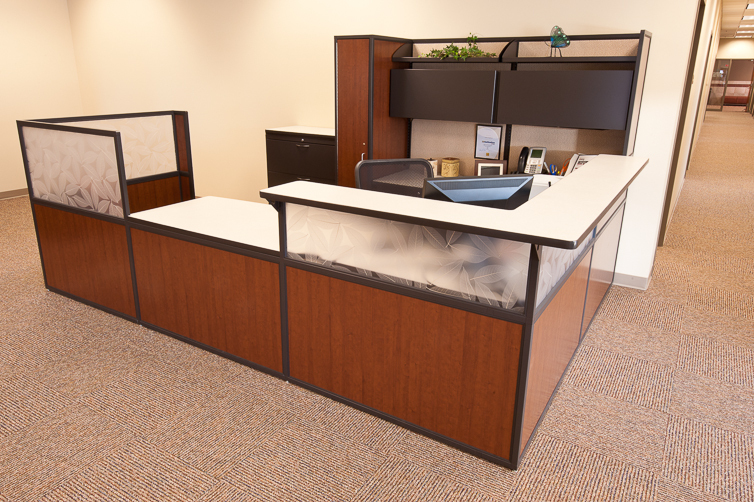 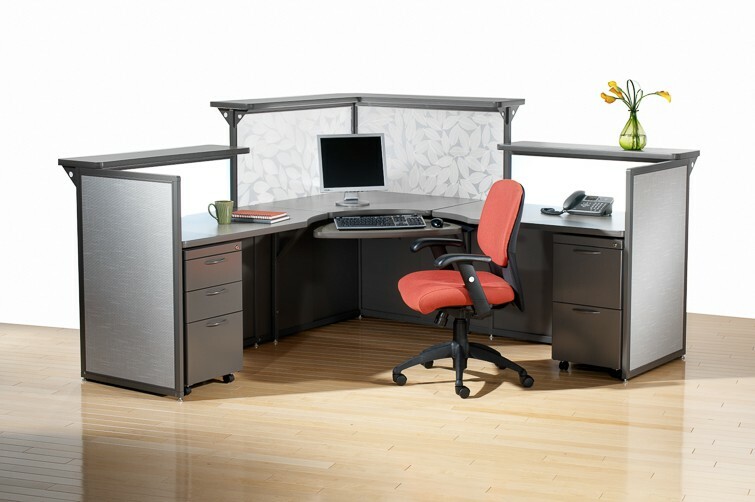 Even the view from behind reception desks are impressive, offering the privacy panels and lockable drawers, transaction counters, as well as ergonomic accessories such as adjustable height keyboards. 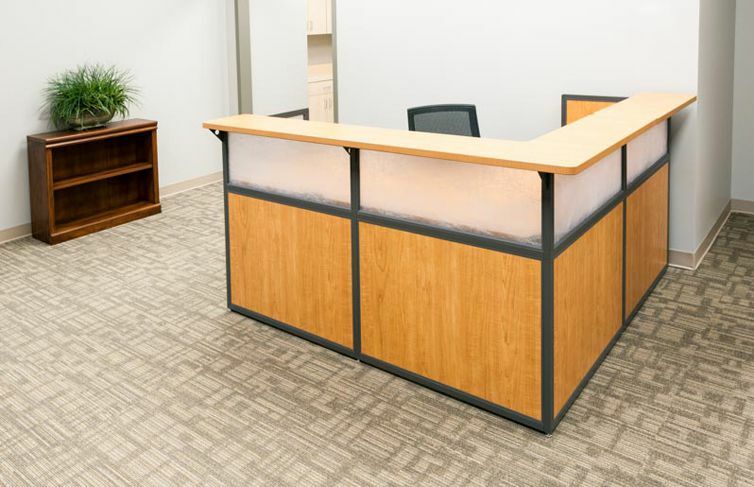 Incorporate a company logo or a decorative acrylic panel with natural elements such as grass or leaves to make a statement with your reception desk. 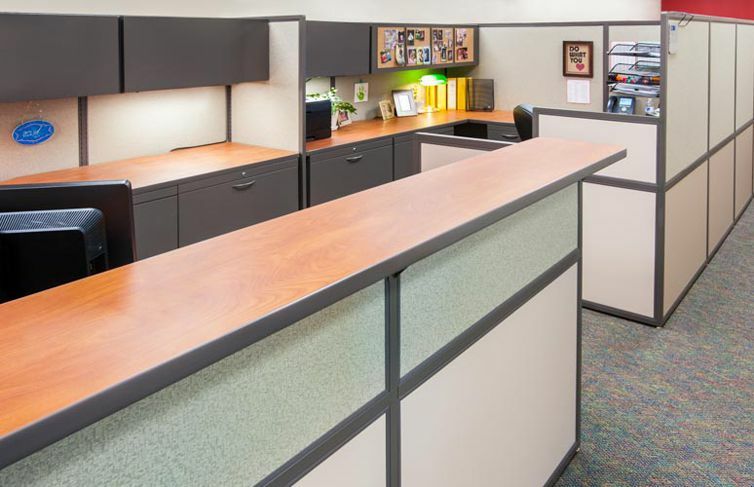 Modify the design to fit your space and choose from a broad palette of color selections to create a consistent and coordinated aesthetic. 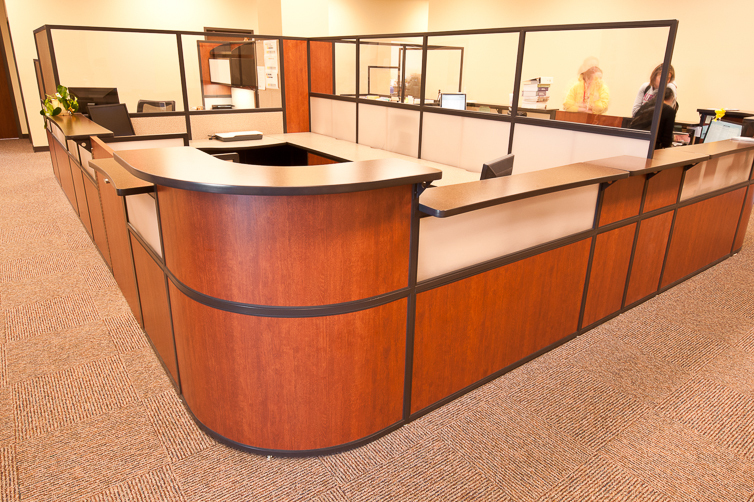 And you can rest assured our quality reception desks are made in the USA. 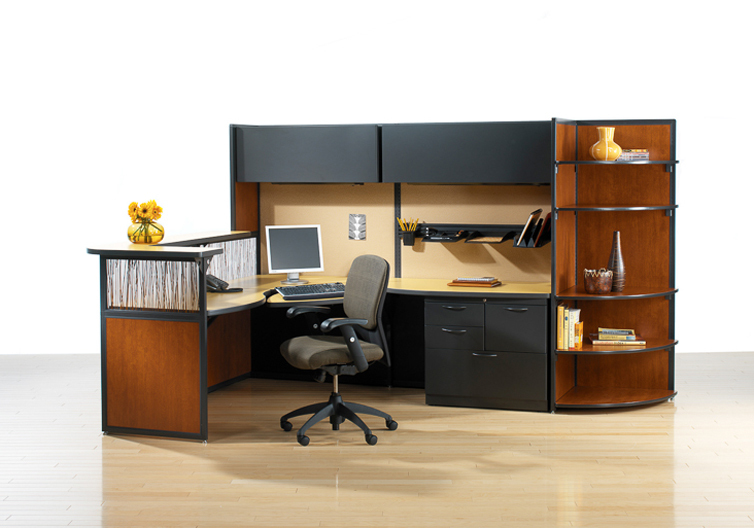 Your furniture will look like new for years because your Interior Concepts furniture is backed by a lifetime warranty.